The African Centre for Parliamentary Affairs (ACEPA) and NORSAAC have trained representatives of excluded citizen groups to build their capacity on how to engage policy-makers as part of efforts to promote inclusive governance. The training was in line with the Gender, Equality and Social Inclusion (GESI) project being funded by STAR-Ghana to amongst others ensure that groups, believed to be excluded and distant from policy-makers, acquire skills to engage Parliament and their MPs in their constituencies. Some of the groups that benefited from the training held in Tamale included market women, youth and the physically-challenged, who were taken through the roles of Parliament, duties of MPs, and entry points for citizens' engagement with MPs. A similar training was held in other districts including Sagnarigu in the Northern Region whiles few districts in the Eastern Region would also benefit from the project. Dr Rasheed Draman, Executive Director of ACEPA, said citizens' engagement with Parliament and MPs as well as policy-makers would ensure that their views were reflected in national policies to address their concerns. He said engaging Parliament and MPs required special skills, which the excluded citizens' groups lacked hence the project. He also urged participants to be alert in terms of the opportunities that existed to engage Parliament and MPs to enable them to influence policy. Mr Alhassan Mohammed Awal, Executive Director of NORSAAC, urged excluded groups and citizens to continue to push to engage their MPs to ensure that they worked to address their interests. 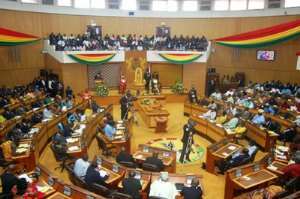 Madam Fauzia Seidu, Public Relations Officer of the Northern Regional branch of the Ghana National Association of the Deaf, lauded the training saying it had enlightened especially the physically-challenged on how to approach Parliament and their MPs.